“Don’t let the Tories shut down your Sure Start Children’s Centre”, said David Williams, Labour's Parliamentary Candidate for Crewe and Nantwich. David Williams warned that Conservative plans to cut 20% of the Sure Start budget could see a Crewe and Nantwich Children’s Centre forced to close its doors. David Williams continued, “I hear Tory talk of giving children the best possible start in life, but their words are not matched by their actions. This threat to our children’s centres is an absolute disgrace. - A Sure Start Centre in every community, available to help parents in the early years. - An entitlement to 15 hours per week free early education for every three and four year old. - Expansion of free childcare to the most disadvantaged two-year olds. - An end to child poverty in the UK by 2020. David Williams concluded, “Labour continues to deliver for young families despite the tough global economic circumstances we are living in. The Tories are committed to cuts in public spending that threatens everything we are trying to achieve. “We know that the Tory axe is hovering over Crewe and Nantwich’s public services, but they refuse to say where it will fall." "The Tories are once again on the wrong side of the argument when it comes to protecting the public from crime", said David Williams, Labour's Parliamentary candidate for Crewe and Nantwich. David Williams continued, "Labour believes in fair rules for stronger and safer communities and are taking the tough and necessary measures to combat crime and anti-social behaviour. 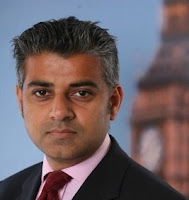 "Labour's no-nonsense approach is bringing crime down. The risk of being a victim of crime is at historically low levels. Since 1997, crime - including violent crime - has fallen by almost 40 per cent. "CCTV and the DNA database play a vital role in helping us to protect the public by preventing crime and bringing offenders to justice. "The Tories want to place restrictions on these crime-fighting tools which would seriously weaken our ability to investigate and convict criminals - putting people at greater risk." Labour is investing in police officers and Community Support Officers to make our streets safer. Since 1997 there are 15,000 more police officers and over 15,500 PCSOs. David Williams concluded, "I have asked our Tory MP to say where their 10% axe will fall in Crewe and Nantwich, but he refuses to respond. He either doesn't know or daren't say." “What have you got to hide?” asked David Williams, Labour’s Parliamentary Candidate for Crewe and Nantwich. David Williams was commenting on reports in The Independent newspaper that Edward Timpson is joining a host of Tory MPs who are resigning their second jobs. 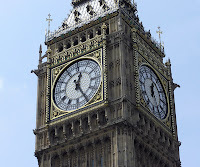 New rules due to come in force this Wednesday, 1st July 2009, will force all MPs to declare how much they earn, how many hours they work and what duties they perform in their outside jobs. David Williams continued, “These Tory MPs have been raking in hundreds of thousand of pounds whilst moonlighting. As soon as they are required to tell us exactly what they’ve been up to, they are desperately dumping their second jobs. The House of Commons register of member’s interests shows that Edward Timpson’s remunerated employment is as a consultant retained by Timpson Limited. David Williams concluded, “Voters are rightly sceptical about MPs at the moment and it is all politicians' responsibility to regain their trust and confidence. Transparency is the only way to clean up politics. The people of Crewe and Nantwich deserve to know. “I have already promised the voters that if I have the honour of being their elected representative I will be a full-time MP with no second job. My only priority will be to stand up for the people of Crewe and Nantwich. 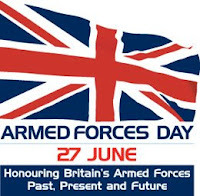 "Through Armed Forces Day on 27th June we hope to increase the public support for, and appreciation of, all those who serve and have served in HM Armed Forces. ", said David Williams, Labour's Parliamentary Candidate for Crewe and Nantwich, "The theme is Honouring Britain’s Armed Forces: Past, Present and Future." David Wiliams continued, "We are immensely proud of the contribution serving members of the armed forces and veterans have made to the security of our Nation. A security that allows all of us to live our lives in freedom, something not to be taken for granted. "I hope that Armed Forces Day will become established in the national calendar and will continue to provide an opportunity to honour and celebrate our armed forces and veterans." The Government has an excellent record of providing support and recognition to armed forces personnel and veterans. A wide range of support and advice is available to service personnel and veterans from government, ex-Service organisations, charities and the voluntary sector. Investment: Between 1997-2008 Labour has added an average £1 billion a year to the defence budget. The longest sustained investment in thirty years. Funding for defence will rise from £34 billion in 2008/09 to £36.9 billion in 2010/1. This represents an annual growth of 1.5% in real terms. Pay: The 2007/8 Armed Forces Pay award was a good one. Basic pay for the lowest ranks will be increased by 9 .3 % and there is an increase of 3.3% across all ranks up to and including 1*. Also the Armed Forces Pay Review Board has confirmed the tax free operational allowance of £2,240 to eligible personnel completing a six month operational tour. Health: The Healthcare Commission has praised the "exemplary" trauma and rehabilitation services for military personnel injured in service. The review praised the care provided to casualties of war, highlighting the ability to quickly reach and treat casualties, innovations in the treatment of major injuries, the training of staff, design of field hospitals, clinical audits to feed back important lessons and rehabilitation for injured personnel. The Future: Labour will firstly end the disadvantage created by military lifestyle – where for example being ordered to move you and your family could mean losing your place on a waiting list. Secondly, we will recognise that at times it is right and necessary to give special treatment either to remove disadvantage or to recognise sacrifice, for example those seriously injured. Please show your support by visiting the Armed Forces Day website. 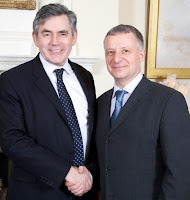 Gordon Brown, Prime Minister and Leader of the Labour Party, today pledged Labour to the highest standards of integrity, accountability, and prudence with public money. David Williams Labour's Parliamentary Candidate for Crewe and Nantwich has signed up to a six point promise that he will put the public's interest first. Gordon Brown said, "The first thing we've got to do is to clean up politics once and for all. We've got to make sure that people see that their members of Parliament and those who seek to represent them are acting in the public interest and not in their self interest. "We've got to make sure that people see that their politicians are in it not for what they can get, but for what they can give. That's why today we promise that we will uphold the highest standards of integrity, we promise that there will be transparency in everything we do, we promise that we will report to our constituents and do so as regularly as possible. Report not only to our own party but to all sections of the community in our constituencies so they can raise their concerns with us and we can be true and honoured servants of the people of this country. "I believe that our pledge to clean up politics, complemented by the new Parliamentary Standards Authority that Harriet Harman is introducing, complemented by the new code of conduct for MPs and complemented by the review that is now taking place of four years of previous expenses, so we deal with any abuse, we deal with any repayment, we deal with anything that has been wrong and discipline people as necessary is the first start to making sure that the politics of our country are based on these principles: that we will always act responsibly and in a fair way." The Labour Party is a great movement for change, made up of people determined to serve the public interest and not their own. - I will regularly report back to my constituency party as well as to my constituents. David Williams said, "It is important that constituents know what they are getting from their candidates at the next general election. I am delighted to make these promises in addition to the existing commitments I have made to the people of Crewe and Nantwich." “However, getting the Basford proposal off the table was not enough. We needed a commitment to redeveloping the station on its existing site. “Therefore I brought the new Secretary of State to Crewe station to make the case for the Crewe Gateway project. Lord Adonis heard our arguments and promised to look further into the project. David Williams concluded, “I am delighted that the Government has listened. We now need the full commitment of Cheshire East Council to make sure that progress is made. Pictured: David Williams convenes a meeting at Crewe Station with Councillors Chris Thorley and Roy Cartlidge. "Climate change is something we all need to be concerned with”, said David Williams, Labour’s Parliamentary Candidate for Crewe and Nantwich. On 26 June the Labour Government published The Road to Copenhagen, Britain’s pitch for what the deal should include at UN climate change summit in Copenhagen in December. This makes clear that, Britain will be on the side arguing for action. David Williams continued, “When I’m on the doorsteps in Crewe and Nantwich people often raise with me the issue of climate change. They are worried about what kind of planet we are going to leave for the next generation. "If we do act, we could have a more stable climate and new jobs in Britain. Ed Miliband, Secretary of State for Energy and Climate Change, said, “This is make or break time for our climate and our future. With less than six months to go before crunch negotiations in Copenhagen, it’s clear that there is no ‘plan B’. “The world has no option but to work together to get a global climate deal that’s ambitious, effective and fair. Our climate manifesto puts the British public in the front and centre of our efforts to get a climate deal. “For people in Britain, getting a global deal now will mean reducing the risk of devastating future climate impacts and the huge extra costs that would bring. But it will also open the door to big new opportunities to create green jobs and economic prosperity. "The challenge for Britain is to show the way to a low-carbon future, but we also need to get all countries signed up to acting as well. We can help tip the balance by our own actions and by persuading other countries to join a global deal at the UN meeting in Copenhagen, this December." Labour’s Parliamentary Candidate for Crewe and Nantwich is encouraging local shoppers to buy fair trade cosmetics and toiletries that are now available in the shops. David Williams welcomed the Government’s support to the Fairtrade movement. People will now be able to buy 57 products with Fairtrade certified ingredients, including lip balms, face masks, body butters and shower gels. Shops like Boots, Neal’s Yard and Lush will stock the products. Across the UK, 31% of people say they are interested in buying cosmetics carrying the Fairtrade mark. David Williams said, “During this global economic downturn, it is vital that world trade continues. Our shopping habits can make a real difference to the world’s poorest people. Fair Trade helps support 7.5 million people in the developing world. 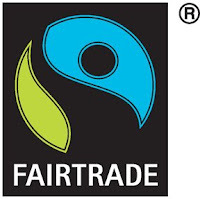 Seven in 10 households purchase Fairtrade goods, including an extra 1.3 million more households in 2008, helping Fairtrade sales reach an estimated £700m in 2008, a 43% increase on the previous year. There are over 460 producer organisations selling to the UK and 746 to the global Fairtrade system, representing more than 1.5 million farmers and workers. Introducing Fairtrade labelling to cosmetic products will increase the overall number of Fairtrade products in UK shops and the volumes of ingredients which producers are able to sell under Fairtrade terms, which in turn increases the benefits back to farmers. The Fairtrade Foundation sets minimum thresholds of Fairtrade ingredients at levels which allow best selling volume lines of beauty products containing natural ingredients to be certified. Producers will get the Fairtrade minimum price plus a premium, to invest in community projects such as schools and healthcare. The companies behind the products will have a partnership plan in place showing how they will additionally support producers to develop their businesses and communities. “We can only restore voters’ trust and confidence in the politics if we are open, honest and accountable”, said David Williams, Labour’s Parliamentary Candidate for Crewe and Nantwich. David was commenting after the Government announced the Parliamentary Standards Bill, aimed at cleaning up politics. The Bill introduces a statutory Code of Conduct for MPs relating to financial matters. MPs will be subject to new criminal offences for knowingly making a false claim, failing to register interests or breaking rules on paid advocacy. David Williams continued, “Public confidence in the entire political system has been badly shaken by revelations about the misuse of MPs expenses and allowances. The system has been shown to be fundamentally flawed and this Bill goes along way to putting it right. “A few weeks ago I made five specific promises to the voters of Crewe and Nantwich about how I would conduct myself, if I had the honour of representing them in the House of Commons. I am happy to say that my personal commitments go further than the measures in today’s Bill. - I will be a full-time MP, working only for the people of Crewe and Nantwich, with no second job. - I will not profit from the second homes allowance, because I will only rent accommodation in London. - I will live in the constituency, which will be my main residence and the family home. No flipping. - I will not employ or pay money from parliamentary allowances to any member of my family. - I will publish all my income and expenses claims forms, as they are submitted, so they are available to local voters and the media. "Everyone loves a day at the seaside", said David Williams, Labour's Parliamentary Candodate for Crewe and Nantwich, "whether it’s sitting on a beach, striding along a cliff top or poking around in rock pools, I’m sure we all have happy memories of the coast." Labour’s Marine and Coastal Access Bill won support today when it came before the House of Commons. The Bill will deliver a continuous path around England’s coast. So for the first time everyone will be able to access England's coastline through a carefully planned route. David Williams concluded, "I have been a long-time campaigner for greater access to our countryside. The prospect of an uninterupted path around England's beautiful coastline is very exciting. 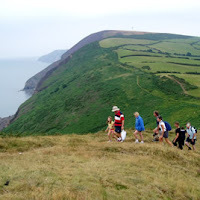 "This summer I plan to walk sections of the South West Costal Path taking in the coves, cliffs and beaches of Devon and Cornwall. It will be great to have access all of our wonderful and diverse coastline". “Postal workers should be legally protected from dangerous dogs”, said David Williams, Labour’s Parliamentary Candidate for Crewe and Nantwich. David is supporting a backbench Bill in the House of Commons to amend the Dangerous Dogs Act 1991. The Bill is promoted by Labour MP Angela Smith in response the "Bite Back" campaign organised by the Communication Workers’ Union. David Williams continued, “I fully support the CWU's campaign to strengthen the provisions of the Dangerous Dogs Act. I was shocked to hear that over 6,000 postal workers were attacked by dogs in the course of their duties last year. “I am also aware that there are many other workers at risk like shop delivery drivers, gas, water and electricity workers, district nurses, home helps, meals on wheels volunteers, etc. - Make attacks that take place on private property a criminal offence. 70% of attacks on postal workers are on private property. - Promote preventative action, giving powers to police and local authorities to deal with dogs that show unprovoked aggression. This could mean compulsory training, dog control orders or ASBOs for dogs. - Extend the Act to cover dogs other than pit-bull types. The law should tackle the deed – not the breed. 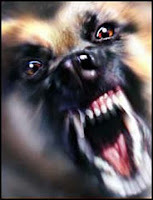 The Dangerous Dogs (Amendment) Bill will be presented to the House of Commons on Wednesday 1 July 2009. “I urge all working parents to check their entitlement to tax credits, particularly if they have recently suffered a reduction in income”, said David Williams, Labour’s Parliamentary candidate for Crewe and Nantwich. David Williams continued: “Tax credits respond quickly in a downturn, helping people whose incomes have fallen. During this global economic downturn, they are helping a greater number of people than normal. “Tackling child poverty is a key commitment for Labour in Government. Labour believes that the best way to eliminate child poverty is by making work pay for parents and ensuring that parents have access to work through flexible working and affordable childcare. Tax credits provide support to around 20 million people including 6 million families and 10 million children. Nine of out ten families are entitled to tax credits. Labour’s reforms since 1997 mean that on average families with children are £2,350 a year better off, while those in the poorest families are £4,750 a year better off. Tax credits and the minimum wage improve work incentives and tackle in-work poverty by guaranteeing minimum incomes. Low-paid workers with children are at least 25% better off with tax credits, which deliver around £20 billion to low income families. Families are getting more support from tax credits with the average award increasing by £200 compared to 2006-07. Take up of Child Tax Credits is a success. In 2006/7 take up of the Child Tax Credit is 81%; among those on incomes below £10,000 it is 92%; and among lone parents it is 95%. Tax credits help with childcare costs - with up to 80% of childcare costs covered. Tax credits have played a key role in tackling child poverty. Since 1998-99, 500,000 children have been lifted out of relative poverty and the number in absolute poverty has been halved – compared to a doubling of child poverty in the previous 20 years. 414,000 families benefited from the childcare element of the Working Tax Credit, an 8%increase on 2006-07. This makes childcare more affordable and gives parents more choice in how they balance work and family life. 9% more families benefited from extra help for workers with a disability – compared to 2006-07. This helps individuals overcome labour market disadvantage. Those responsible for at least one child or young person who lives with them, may qualify for Child Tax Credit. The regular payment supports families including those with 16 to 19 year olds in full-time education or training. Extra money is available if a child is disabled. The award is based on income and available both when in and out of work. Please go to the HMRC website to check your eligibility. David Williams, Labour's Parliamentary Candidate for Crewe and Nantwich said, "Whilst Labour in Government is taking action to deal with the global downturn, they are also building a better Britain for the future. The key to that future is education. We need to invest in the downturn so that everyone can share in the opportunities that the upturn will bring." 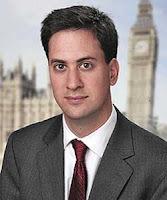 Early Years: Labour is radically transforming early-years provision. In 1997 there were no free guaranteed nursery places or Sure Start Children’s centres. Today, there are over 3,000 Sure Start children’s centres providing childcare, healthcare, early education and family support to more than two million children and their families. Every three and four year old has the right to a free nursery place, which we will extend from 12.5 hours a week to 15 hours by next year. Schools: Labour wants parents to have a good local school, wherever they live. Labour’s National Challenge will ensure that no school has fewer than 30 per cent of its pupils achieving 5 GCSEs at A*-C grade including in English and Maths by 2011. That ambition is backed up by £400 million of extra investment over the next three years. Over 1,100 new schools have been rebuilt or newly built since 1997 and Labour is committed to rebuilding or refurbishing every secondary school and half of all primary schools in the coming years. Labour has set three-year budgets for schools up to 2010/11 and are more than doubling in real terms total spending per pupil since 1997. Labour believes in intervening early and is rolling out catch-up classes and one-to-one tuition in the 3Rs for children at risk of falling behind in primary and secondary school. To ensure that every child leaves primary school confident in their literacy and numeracy skills, Labour will offer 30,000 pupils support in literacy and 30,000 support in numeracy every year over the coming years. David Williams concluded: "Only Labour is committed to investing in our children's future. We have transformed education since we came to power and will continue to do so. A lot done, a lot more to do." Where will the Tory axe fall in Crewe and Nantwich? "It's time for local Tories to come clean and tell us where David Cameron's cuts will be made in Crewe and Nantwich", said David Williams, Labour's Parliamentary Candidate for Crewe and Nantwich. David Williams continued, "The Tories have finally admitted just how much they want to cut from our public services. I was shocked when I heard their health spokesman Andrew Lansley stating that the Tories would make 10 per cent spending cuts in the vast majority of government departments. "Mr Lansley seems to have gone to ground so I think it is now up to local Tories to tell us how these swingeing cuts will affect the people of Crewe and Nantwich. "But I won't be holding my breath. When David Cameron promised real-terms cuts from this April I asked for an explanation, but none was forthcoming. "Labour has invested in our public services and the results can be seen all around the area. New and improved schools across Cheshire. Better facilities at Leighton and new health centres in Rope, Nantwich and Crewe. New neighbourhood policing teams in every area, bringing down crime. "All this investment and more is under threat if the Tories get into Government. The Tories should tell us now which services they will cut in Crewe and Nantwich." Tory MPs are continuing to promote a Bill to abolish the minimum wage and it is due to be debated on Friday 12 June. David Williams, Labour's Parliamentary Candidate for Crewe and Nantwich is calling on Tory MPs to withdraw their support from the Employment Opportunities Bill and for David Cameron to condemn it. It follows a concerted campaign by the pressure group Wage Concern, led by John Prescott MP and supported by Usdaw and Unison. This grassroots campaign saw more than 12,000 people sign a petition or join the Wage Concern Facebook Group; along with the online lobbying of more than 300 MPs and 139 MPs back an Early Day Motion calling on David Cameron to renounce the bill. All this pressure led to the bill being pulled from its original slot on May 15th after Gordon Brown told MPs during Prime Ministers’ Question Time to vote against it. “I can’t believe that Christopher Chope is still promoting this legislation when he didn’t have the bottle to debate its consequences with me on the radio. We will continue to defend the National Minimum Wage from all those who seek to destroy it. “This Bill will leave Britain’s most vulnerable workers at the mercy of rogue employers who will pressurise them into opting out of the minimum wage. It offers no choice to low paid workers. Tory MPs are insulting our intelligence by suggesting that there is a human right to pay lower than the legal minimum. Picture: L-R John Hannett, John Prescott MP and David Williams at the Wage Concern lobby in the House of Commons. “Working carers' valuable contribution to society should be recognised and I am calling on the Government to provide more financial help”, said David Williams Labour’s Parliamentary Candidate for Crewe and Nantwich. David was speaking in the House of Commons at a lobby he organised on behalf of members of the shopworkers union Usdaw. David joined John Hannett, Usdaw’s General Secretary, to ask MPs to support the progress made by Government to help working carers and calls for more financial help. David Williams said: “Recognition for carers is important, but it doesn’t put bread on the table. They need more financial support and a better deal at work. Carers have a tough time, trying to balance work with their caring responsibilities. “I am supporting the Government's Equalities Bill, which offers equal treatment for carers. However, I am also calling for the extension of Carers’ Allowance to low-income working carers earning more than the current threshold of £95 per week." Nick Griffin has won a seat in the European Parliament. It's a disgrace. They did not win because they represent the views of the majority, in fact the number of votes they secured went down compared to the last Euro elections. They won because turnout was down and because of the bizarre voting system, which is neither proportional nor representative. I don't blame voters for not voting, all the major parties have to take responsibility for not enthusing participation in the democratic process. I will redouble my efforts to promote trust and confidence in the politics and in the Labour Party. That old saying is now very appropriate: All it takes for evil to triumph is for good people to do nothing. I would welcome the support and assistance of anyone in Crewe and Nantwich who wants to rid British politics of Fascists and have a proper policy debate between the Parties based on fairness not fear and hope not hate. In the meantime, I've just signed a petition which says NOT IN MY NAME. The petition will be handed into the European Parliament on the day that BNP leader Nick Griffin takes his seat, because he does not represent my views or the views of the vast majority of people in the North West. Sign the petition - let's show the rest of the EU what we think of the racist BNP. David Williams, Labour’s Parliamentary Candidate for Crewe and Nantwich, has today challenged the Tories to spell out their education funding cuts. David Williams said: “We know that David Cameron is planning swingeing cuts across public services, but what does that mean for schools, nurseries and Sure Start centres in Crewe and Nantwich? “Labour believes in investing in the future of all our young people. The Tories' agenda of cuts in education in the middle of a recession would hit children's centres and school rebuilding projects and mean fewer opportunities for young people when they need them most. “Labour will guarantee every three and four-year-old 15 hours of free nursery provision next year - up from 12.5 hours now - and will have opened a Sure Start Children's Centre in every community by next year. “We will intervene early and roll out catch-up classes and one-to-one tuition in the three Rs for children at risk of falling behind in primary and secondary school. 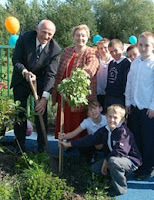 “We have set three-year budgets for schools up to 2010/11. Spending per pupil in Crewe and Nantwich has more than doubled in real terms since Labour took power in 1997. Dedicated walkers joined David Williams in persistent rain on a 27 mile walk around the boundary of Crewe and Nantwich constituency. Labour's Parliamentary Candidate for Crewe and Nantwich is a member of the Long Distance Walkers Association and invited his local group to the constituency to experience the beauty of the South Cheshire countryside and excellent local hospitality. David Williams said, "We had a great day out despite the weather. The Crewe and Nantwich circular path is very impressive and just shows that you don't have to go too far out of the urban areas of Crewe or Nantwich to find good walking country. Whilst not everyone would want to knock-off 27 miles in one day, there are plenty of route options to create shorter circular walks. "Apart from enjoying the countryside we also enjoyed good hospitality. Our first stop was at the Eight Farmers in Leighton, offering an excellent very competitively priced brunch. We had a very tasty late lunch at the Red Lion in Nantwich and finished with a pint or two of well-kept Abbot Ale at The Foresters in Winterley. "Cheshire County Council was excellent at maintaining the network of paths across the county. I hope that Cheshire East unitary authority will continue that good work, although I was a little worried to see missing way-marks and some very overgrown paths on a high profile route like the Crewe and Nantwich Circular Path. "Walking is great exercise, cheaper than the gym and much better for you. I hope that more people discover a great walk and enjoy it." Picture: David Williams (centre left) with fellow walkers on the aqueduct near Church Minshull where the Shropshire Union Canal (Middlewich Branch) crosses the River Weaver. It may be difficult to see the positive in politics at the moment. That's why I wanted to show you this. Trade union members have told us why they think politics still matters. Their words are better than anything I could ever write. Please watch the video - and remember to vote - because politics matters. I hope you'll be voting for Labour because to build us a better, fairer and stronger country. But even if you're angry with politicians and politics I hope you still vote. By not voting you'll let the BNP in through the back door. So if you do just one thing today to make the world a better place - make sure you vote. David Williams, Labour’s Parliamentary Candidate for Crewe and Nantwich has been contacted by a number of local bingo players who are concerned about the effects of this year’s Budget on bingo clubs. David Williams said, “After hearing the concerns of Crewe and Nantwich bingo players I raised the issue directly with HM Treasury and received the following response”. The response from HM Treasury said: “You are right that a number of changes to the way bingo is taxed were made in the Budget. 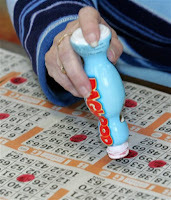 These changes were made to help simplify the way in which bingo clubs are taxed, something that people have asked for. “The changes you mentioned in your letter should be seen alongside the removal altogether of VAT on bingo player fees. The changes mean that overall tax on bingo is 22% - down from an estimated 24-25% rate before the Budget. This has been brought down from the much higher rate of 35%, in force in 2003. “The tax rate in bingo is comparable to the average tax rates on gaming machines, casinos and the National Lottery, all of which are taxed within a 20-25% range. David Williams, Labour’s Parliamentary candidate for Crewe and Nantwich is walking the constituency boundary on Saturday 6 June 2009. David is a member of the Long Distance Walkers Association (LDWA). He is leading a walk for the local group that will take them around the borders of the Crewe and Nantwich seat. The route mainly follows the Crewe and Nantwich Circular Walk long distance path and the group will be covering the full 29 miles in one day. They start at 9.15am at Winterley Pool and will be walking anti-clockwise, taking in the northern half first and finishing with the southern section. David said, “I am a keen walker and normally head for the hills in Snowdonia, the Lakes or the Peak District. However we have some beautiful countryside here in South Cheshire and wanted to bring the LDWA down to sample the delights of Crewe and Nantwich. To join the walk please call David on 07798 696 603. Picture: David at a way mark on the Winterley to Maw Green leg.